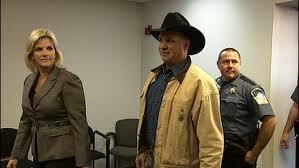 Garth Brooks legal battle with Integris Canadian Valley Regional Hospital in Yukon, Okla continued today. Brooks continued testimony and was very emotional when telling the jury that after he thought the construction of the Living Center was a "done deal". Brooks donated 500,000 to the hospital in memory of his Mother. The money was to be used to erect a Living Center in his Mother's honor. This hospital administration must be filled with a bunch of losers because they should know that a jury of Garth's peers aren't going to go against the man just named the hottest selling musician of the last 20 years by Sound Scan. Build the freaking Living Center, hang Mama's picture big, thank Garth, apologize to him, and clean your image that you have so publicly tarnished. You can't take a huge amount of money like that and not honor the requests that were attached to it.